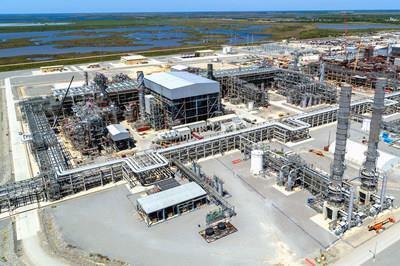 HOUSTON, April 15, 2019 /PRNewswire/ -- McDermott International, Inc. (NYSE: MDR ) and its joint venture partner, Chiyoda International Corporation, a U.S.-based wholly-owned subsidiary of Chiyoda Corporation, Japan, today announced that Train 1 of the Cameron LNG project in Hackberry, La., has reached the final commissioning stage. This includes the introduction of pipeline feed gas into Train 1 of the liquefaction export facility, the precursor for the production of liquefied natural gas (LNG). About McDermottMcDermott is a premier, fully integrated provider of technology, engineering and construction solutions to the energy industry. For more than a century, customers have trusted McDermott to design and build end-to-end infrastructure and technology solutions to transport and transform oil and gas into the products the world needs today. Our proprietary technologies, integrated expertise and comprehensive solutions deliver certainty, innovation and added value to energy projects around the world. Customers rely on McDermott to deliver certainty to the most complex projects, from concept to commissioning. It is called the "One McDermott Way." Operating in over 54 countries, McDermott's locally focused and globally-integrated resources include approximately 32,000 employees, a diversified fleet of specialty marine construction vessels and fabrication facilities around the world. To learn more, visit www.mcdermott.com .